Dr. Joe Brown, a Biomedical Engineer who conducted his doctoral research in Professor David Kaplan's lab, developed and designed injectable, biodegradable and highly elastomeric soft tissue analogs and filler materials derived from silk proteins that mimic the mechanical and biochemical properties of native tissue. Joe is originally from the town of Byfield, MA, and did his undergraduate degree at Tufts University in Biology and English. After graduation, he worked in the biotech sector at Charles River Laboratories, until he decided to return to Tufts for graduate school to complete a degree in the engineering disciplines. Since graduating with his doctorate, Joe assisted in the establishment of a start-up based on his research in the Kaplan lab. The company focuses on designing silk-based injectable systems for soft tissue healing and facial scarring, with a particular focus on wounded soldiers. He spends the majority of his time prototyping and fabricating new materials for soft tissue remediation, while simultaneously navigating the regulatory system towards the ultimate goal of bridging the gap between academic research and tangible, commercially available products. Joe served as the Promoting Retention in Science and Engineering (PRiSE) graduate coordinator from 2012-2014. He is excited to witness the students he first mentored back in 2012 push towards graduation this year and succeed in the real world. PRiSE meets every Wednesday from noon – 1 p.m. in the DeWick Conference Room. To learn more about the program and how to get involved, check out the website here! All are cordially invited to gather for an informal interview with Mark Brimhall-Vargas, Chief Diversity Officer and Associate Provost hosted by Provost David Harris. Please RSVP to provost@tufts.edu by February 8th. Join Counseling and Mental Health Services for an informal chat in a safe and supportive space where students can openly explore the complexity of experience related to being a person of color at Tufts. Please RSVP to Ritu.Sharma@tufts.edu or Darleen.Gracia@tufts.edu. Want to major in engineering? Visit the engineering open house and speak with faculty and students from the many exciting disciplines offered in the School of Engineering as well as have a chance to win prizes. Lunch will be provided. The Career Center's newly formatted bimonthly Diverse Opportunities newsletter offers career events, resources, scholarships, internships, jobs and more for students from diverse backgrounds. Check out the current edition and click on the blue button (scroll to bottom) to add your email address to the listserv. Tufts Admissions has made funding available to help students pay for Summer Session courses at Tufts. Apply for the Summer Session Scholarship by March 1st to be considered. Find the application and instructions here. Mark Your Calendars: New England Science Symposium, Sunday, April 3 at The Joseph B. Martin Conference Center at Harvard Medical School. Go here to learn more and to register to attend. Wednesday, February 10 at 12 p.m.
Friday, February 19 at 12 p.m.
Monday, February 22 at 12 p.m. Attend the 10th annual event and meet 30+ alumni with varied engineering and computer science backgrounds for a light dinner and networking. Talent acquisition managers from Genscape will discuss how to make the most of the Career Fair. Jobs and internships for Arts, Sciences & Engineering students; All class years, all majors. 1) Your research project. The project can be from a course or an independent project. All formats are eligible, including but not limited to research papers, videos, posters, presentations, lab manuals, inventions, business plans and proposals. Want some inspiration? Check out the gallery of past winners and more info on how to apply here. It is never too early to start planning and outlining your spring writing projects. Writing tutors are ready to help you explore how best to organize and express your ideas and tighten up your content. 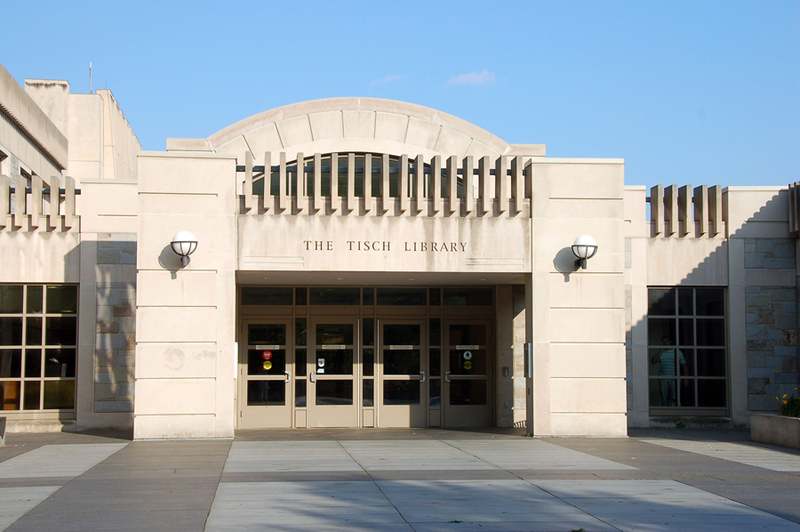 Writing tutors are located in the Research Hub, right near the Tower Café, Sundays through Thursdays from 6 - 9 p.m. The Data Lab in Tisch Library offers in-depth consultation services around data, including help with GIS data and software, and quantitative data analysis tools such as Stata, SPSS, and SAS. The Data Lab is located on the second floor. If you’re seeking a part-time job, keep your eyes on the Library’s Student Jobs page here.